Runbow! 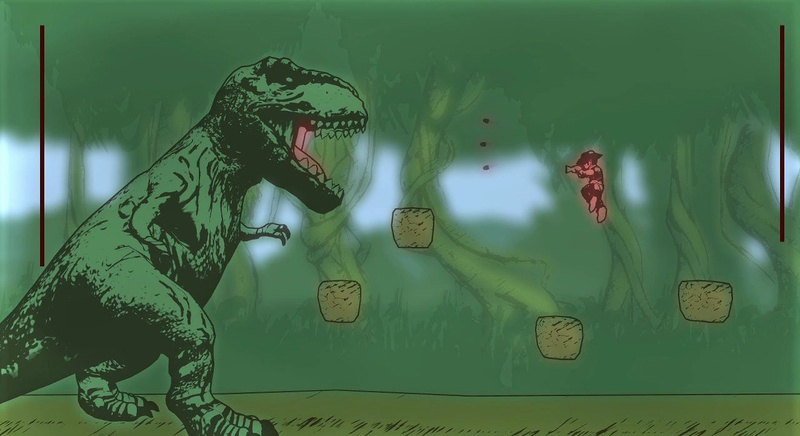 Gunman Clive HD! StarTropics 1 & 2! Sin & Punishment! More! Another week begins with Nintendo Download Update details for Europe; due to a public holiday in the UK this information came through later than normal (hat tip to Daan Koopman who forwarded the Dutch information to us). This week is particularly good on the Wii U, it must be said, with two high-quality new arrivals and three Virtual Console titles sure to get some pulses racing. There are some discounts and a retail release to consider on 3DS, too; let's get to it. Runbow (13AM Games, normally €13.99 / £10.99, €11.89 / £9.34 off until 3rd October if you downloaded the [email protected] demo) - A colourful action platformer that's been given plenty of promotion by Nintendo and features cameos of various 'Nindie' characters, this includes varied solo options and multiplayer modes for up to nine players. Its different styles incorporate frantic platforming and combat, all supported by excellent presentation; we were effusive with praise in our Runbow review. Gunman Clive HD Collection (Hörberg Productions, €3.99 / £3.59) - This could be tough to resist, as it combines two of the finest 3DS eShop titles in one HD package; with tight platforming and shooting, along with greater variety in the second game, there's a lot to like about these titles. We'll bring you our review soon. Zombie Defense (Teyon, €7.99 / £7.19) - Teyon's first Wii U release, which is described as "a modern hybrid of a classic RTS and Tower Defence". With 35 levels and two difficulty settings it promises much; we'll see whether it brings us to life in a review. Sin & Punishment (Nintendo, €9.99 / £8.99) - Originally only released in Japan, it only arrived in the West once the Wii Virtual Console came onto the scene, giving plenty of gamers a chance to enjoy a terrific action title from Treasure. With an incomprehensible story and lots of shooting it's much-loved by plenty of N64 and Treasure fans; we'll take a fresh look soon, and until then you can check our our Wii Virtual Console Sin & Punishment review. StarTropics (Nintendo, €4.99 / £4.49) - With visuals that lifted liberally from The Legend of Zelda, this NES title may look like a quirky anomaly with a passive glance. It has plenty to offer, though, with a charming style and some unique gameplay mechanics. 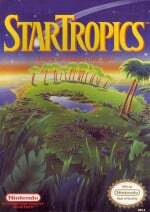 A bit of a cult classic, this, and we'll check it out for a review; in the meantime you can learn more about it in our Wii Virtual Console StarTropics review. 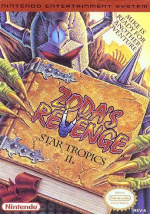 Zoda's Revenge: StarTropics II (Nintendo, €4.99 / £4.49) - Prior to its arrival on the Wii Virtual Console this one never made it to Europe, courtesy of being a very late arrival on the NES in North America. It's now on Wii U, too, and continues many of the approaches or the original but throws in tweaks and plenty of time travelling. We'll dive in for a review, but until then there's our Wii Virtual Console Zoda's Revenge: StarTropics II review. Little Battlers eXperience (Nintendo, €39.99 / £34.99) - A game tied in to the animated series that's becoming increasingly popular in the West, in which you customise and then battle with miniature robots; that idea probably sounds fun to a heck of a lot of people. We enjoyed playing this for our Little Battlers eXperience review, but it's worth emphasizing that multiplayer is local only. Available from 4th September. That's the lot for Europe this week - let us know what you plan to download in the poll and comments below. 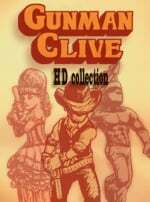 Gunman Clive HD Collection for me! StarTropics 1 and 2! If only I wasn't stuck in North America. Not a bad week! Both Star Tropics and an upgrade on Sin and Punishment for me. Proun+ demo for me. If I didn't already have both Gunman Clive on the 3DS I'd get 'em for sure. Startropics, Never Alone and potentially Runbow ^^. (I have to think about my backlog in terms of Runbow). Either way I have to say this is a really good week . RU RU RU RU RU RUMBOW BREAKER!! I don't remember the last time there was something for me. Fairly decent this week. There's nothing that's absolute must haves for me, though Runbow, Gunman Clive, Sin and Punishment and LBX look fun. Are those prices for Runbow correct? €13.99 / £10.99, €11.89 / £9.34 off until 3rd October - that means price is €2.10 / £1.65? Have to say, I'm impressed! £25 eShop card should cover me for Runbow, Sin & Punishment, both StarTropics games and a Gunman Clive double dip. @Spideron Just a typo, the price is £9.34. Does anyone know if we need to have the game previews (in this case Runbow) still installed on our systems to get the discount? I downloaded and played the preview, but deleted it afterwards. Wow, Sin & Punishment and BOTH StarTropics? Great week, multiple votes should be allowed for this poll! @A01 You just need to have downloaded it. Heck yeah, StarTropics. I was just about to get them on the Wii VC. I'll probably check out Sin and Punishment and Runbow too. Whoops, I accidentally pressed the nothing for me-option and after that I noticed Runbow. I'm not sure about Gunman Clive but I definitely want Sin & Punishment. 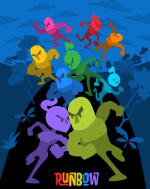 Runbow for me, with the [email protected] discount. Gunman Clive is great, but I already have both games on the 3DS. I've been waiting for StarTropics since I've never played it but I'll wait a while before I get it since I have so many other games I'm playing at the moment. Sin & Punishment is also a nice addition. I have Star Successor on Wii. No need for Gunman Clive Collection even though it's just 4€ since I have both games on 3DS already. I'll wait for Runbow sale since I'm interested in the game but when I do have friends to play with, it's usually just me and 2 others and I noticed that at least the demo wasn't that great with just 3 people. I can see it being fun with more players. Mike Jones for Smash confirmed?! Seriously though, Sakurai should acknowledge StarTropics in Smash in SOME form...right now there is not a single reference to it. Some trophies would be nice. Will be checking out StarTropics - glad to see games for the VC again! Star Tropics will be a LOT more fun to play with save states. I was getting very frustrated playing it on the Wii. I never played the second game so that will be new for me. Nice! The poll is for which one you will download first. You can only download one game first. I see that BLOK DROP U received an update adding a level select, save system and updated graphics a little while ago i may have to grab those games at the low prices on Thursday and obviously Gunman Clive HD aswell. Runbow and Gunman Clive for me. Sin and Punishment is a possibility; a discount for people with the Wii eShop download of the sequel would make it a certainty. Looking at the low percentage of votes for most of the games each week, it suggests that the choice of games on offer is very poor. The poll hasn't even been up ninety minutes. Very few people would have seen it yet. @Sean_Aaron there is always a low upgrade price for the Wii U version of a Wii VC game. Gunman Clive will be mine the minute it hits the Eshop and I'll upgrade Sin and Punishment eventually.I might need to try the Runbow demo again as I wasn't a lover of it,I thought it was alright but nothing more. Wow. A very, very strong week on the WiiU. @Sean_Aaron You should be able to upgrade it for a couple of pound if you already have the Wii version? @Bass_X0 90 minutes yes, but it low most weeks. Runbow and probably upgrading S&P. Will wait for now on Gunman Clive. Maybe some of the 3DS discounts (at least Art of Balance is a candidate). @Bass_X0 Okay, I think they should drop the "first" and let us vote multiple times. These "what game above all else do you want"-polls leave out too much. Runbow and Clive collection for me. That's two more games than I've downloaded in the past few months. I feel almost morally obliged to give runbow a go. Go for Rayman Legends, one of the best games released in the past few years! Due to a public holiday in England. Does this mean we'll be getting a Mike Jones amiibocola? Been looking at "Never alone" for a while now. I'll be striking while the iron is hot on this one. I'm voting for nothing because I think the Smash maintenance tomorrow morning (this evening in the US) is suspicious and we all know Smash DLC generally ends up being around £15-£25. If nothing comes of it, I'll get Runbow. I'd call this a dreadful week! Picking up LBX ASAP! Also, just had my mum's friend's kid round today to babysit - he only recognized Dragonball Xenoverse (because he watched Dragonball Evolution and loved it?) and my old DS Lite. Didn't know about my 3DS at all, nor did he care. I tried to tell him the 3DS is way better, can store multiple games and can be played in 3D but he just wasn't interested at all. He's about 7 I think. If the same is true for other kids his age here in the UK, I'm worried for the future of games. Runbow sorta ashame we in the UK didnt get it at the same time as the US as i culd have played it with my brother who was down for the weakend (and is now gone again) ohwell play it next time hes down lol iv wanted Runbow from its first reveal and then got to play that demo. I'll be getting blok drop x twisted fusion as its a bargain for a wee bit of gaming fun. I want gunman Clive HD Collection but that can wait till I have more time/money. I havnt even played my runbow demo yet so no rush there either! The one that excites me most on paper is zombie defence as I love every part of the description but I'll wait for a review before I splurge hard cash on a gamble! First Zero Mission and now StarTropics? Curse you NoA!!! @Bass_X0 Yes, StarTropics w/o savestates is frustrating. Sweet, S+P would have been plenty but both StarTropic? Looks like a great week for Wii U in Europe! wow that's a strong week! @superKsonic48 Just buy it in Wii mode and upgrade later. N64 games look better in Wii mode anyway. So to get the Runbow discount you had to have downloaded the demo, correct? Dang! I'm looking at most this week....hmmm which first? Erm...Sin and Punishment I reckon. MOAR TREASURE GAMES PUH-WHEEZE! I really want to try StarTropics but Wii U emulation is average at best. Looks like it's Gunman Clive instead then. Here's hoping North America gets StarTropics this week, as well! Little Battlers, though I might be getting it on a cart if I can find it. Brilliant week for the WiiU! Runbow, sin and punishment and Gunman Clive for me! Runbow and Sin & Punishment for me. "I remember a time when this would've been considered a bad eShop week." Some Virtual Console love, FINALLY!! Gonna give StarTropics a whirl. Oh nice! Not only Runbow, but also Raman Legends. Already got that game on Steam but I always wanted to have the "original" version on Wii U. Still don't know if I should get Never Alone though.. Think I will be waiting for A Year Walk and Typoman instead, though Runbow looks pretty tempting. I'm glad to see Startropics is finally making its way to VC. I really hope they make their way to the US. Awesome VC choices this week Gonna try to get them all! Finally a semi strong download week: Runbow, Gunman, S&P, Never Alone and the NES not-Zelda games. All look mighty tempting. I'll be grabbing Never Alone. But its only been on the eShop for a short amount of time, why is it discounted already? Is Sin + Punishment translated from Japanese? That's quite a big deal isn't it? Isn't sin and punishment on offer for those who previously purchased it on Wii like all the other titles are? 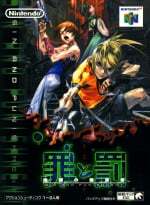 @tysonfury The game was translated for its original Wii Virtual Console release. @wolvesboy Just checked, if you own it on Wii VC, it is the usual offer price of £1.79. Personally, I really only upgrade if the Wii U version is 60Hz and the Wii one's 50. So I'm going to get StarTropics as an "upgrade", while leaving the other two. Though granted, I can see the appeal/need to play the game on the pad, especially if the TV it's plugged into is shared/or in the living room, etc.